I have been a healthcare professional for 18 years in total, 12 full time and during that time many of my clients have asked me how I stay fit and healthy when I come into daily contact with people who are unwell, have winter bugs etc. 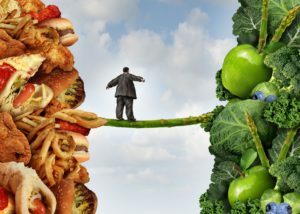 The answer is that I use my food as my medicine wherever possible, because I believe prevention is better than cure. I take Juice Plus supplements (encapsulated fruit, veg, berries and omega fatty acids) I also take Protandim herbal supplements daily, then when necessary I write myself an herbal prescription for any acute conditions that come along. Pretty obvious, really, that I would practice what I preach! So I have decided to share my routine with my clients free of charge, I'll send you a detox guide, cookery book, exercises, healthcare information and I'll add you to the facebook group where lots of us will do the ten day detox together each month and we'll motivate and inspire each other. This kind of thing is much, much more successful when done in a group. All that is totally free and you will only pay for is the cost of the Juice Plus products (which, incidentally, is exactly the same price as I pay for them for myself and my family!) and we can do this detox programme together for ten days each month. 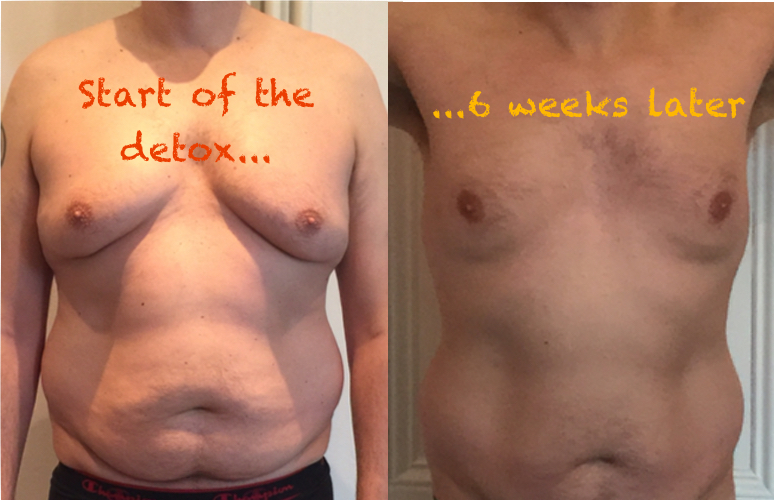 You can also see the success my husband, Marc, has had on the detox programme a year ago. Hi, I am Marc. I struggled with being over-weight for most of my life since adolescence until very recently when I lost 15 kg in 3 months. Yes, the picture here is after the first 6 weeks! I am a Professor of Psychology in my day job and when I first met Simone I was very skeptical and thought Juice Plus was all marketing hype (note my day job!) but 12 months later I have still kept the weight off so now I like to inspire others who are struggling as I did. Doing a detox definitely works. If I can achieve this, then so can you. Please get in touch to find out more about how I did it, and how you can do the same. Daily Recipes, exercises, nutritional advice, lifestyle tips and much more. You will also be able to control your product orders from here or contact Simone directly from the app if you need any help or advice. 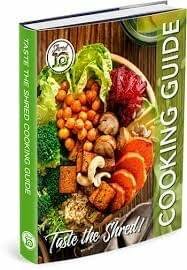 This fabulous 50-page full colour ebook will give you ideas and inspiration on what to have for your main meal of the day while you are doing the ten day challenge. With this challenge, we want to INSPIRE you by telling you all the things you CAN eat, not just giving you a list of what you can't have! This ebook will give you all the information, tips, forms and resources you need to make your cleanse and detox programme as effective as possible. You will be given this once you have ordered your products prior to the start of the 10-day programme so you can stock up on kitchen cupboard essentials! Join our group of heathcare professionals and our patients as we all take part in the monthly ten day detox together. You will see motivational stories of other people's success and you can also get advice from the professionals on the page as well. Ideal for those on a low budget as this includes 20 meal-replacements shakes per month but still gives you the benefit of 18 varieties of fruit and vegetables every day for four months and additional whole food nutrition on the Shred days! Juice Plus Fruit & Veg Capsules: 18 varieties of encapsulated fruit and vegetables each day for 4 months. Juice Plus Compete Shakes: To be taken for breakfast and lunch each day of the ten day Shred. 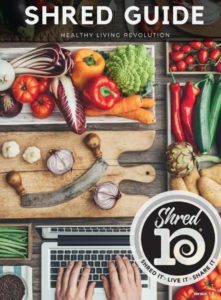 Free Shred Guide: To help you plan your meals, stock your kitchen cupboard, take your measurements before and after the ten days. Free Cooking Guide: 90 page cookery book full of inspiration and tips to keep your diet varied and interesting over the coming 4 months. Ideal for those who want to detoxify their system and have the goodness of 45 varieties of wholefood nutrition each day of the Shred, boost immunity, reduce the inflammatory load, reduce oxidative stress and help the anti-ageing process. Juice Plus Premium Capsules: 30 varieties of fruit, vegetables and berries per day for 4 months. Juice Plus Complete Shakes: To be taken for breakfast and lunch each day of the 10-day shred. Q&A with nutritionists and healthcare professionals on the secret facebook groups to encourage and support you. This is for those who don't do anything by halves! If you suffer from brain fog and want to improve your memory, boost your immunity, reduce bloating as well as all the benefits of the bronze and silver packages, and you generally need to re-set everything, then let's get you kick-started on the gold programme! Juice Plus Omega Blend: these vegan (not fishy!) omega fatty acids are vital for good brain and memory function as well as your cardiac health and your eye health. Who is this detox suitable for? During the Shred10® and the period following, you will flood your body with the nutrition of 45 different fruits, vegetables, and berries using Juice Plus+ capsules and Complete shakes. 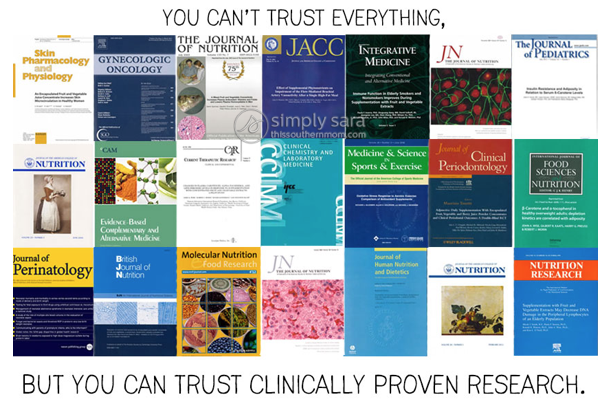 With 38 published peer reviewed pieces of independent research from universities around the world, you can rest assured that the quality of these supplements is based on research, not hype. Whole food nutrition from a variety of sources is the foundation of good health, and Juice Plus+ intensifies our nutritional intake and helps bridge the gap between what we do eat and what we should eat.